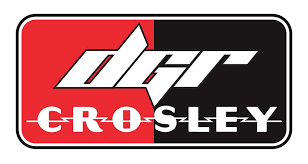 MOORESVILLE, N.C. (Dec. 6, 2018)- NASCAR Next member Anthony Alfredo will join DGR-Crosley next season, the team announced today. Alfredo will compete part-time in the NASCAR Gander Outdoors Truck Series with support from his partners Ceco Building Systems, Meccanic Shop North and Oxford Energy Group. The 19-year-old Ridgefield, Conn. native most recently competed in the NASCAR K&N Pro Series East (NKNPSE) where he finished fifth in overall point standings in his rookie season. Alfredo ended the 2018 NKNPSE season with a win at South Boston Speedway, five top-five and nine top-10 finishes throughout the 14-race season. Before moving to the NKNPSE, Alfredo raced late model stock cars in the CARS Tour where he collected two wins and finished second in overall point standings. He is also a member of the prestigious NASCAR Next program which highlights emerging up-and-coming drivers. Team co-owner David Gilliland is excited about the newest addition to DGR-Crosley’s 2019 driver lineup. Alfredo is expected to make his NASCAR Gander Outdoors Truck Series debut at Atlanta (Ga.) Motor Speedway. A full schedule will be released at a later date.